Star La Moan & The Kitchenettes Friday, April 20, 9 PM Poet & Patriot 320 Cedar St. Le Petit Kitchenettes with Star La’Moan with Scott Stobbe! 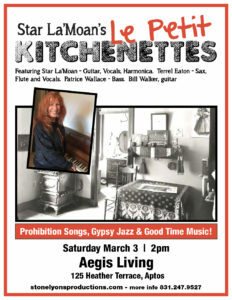 Le Petit Kitchenettes with Star La’Moan, Scott Stobbe, Patrice Wallace & Steve Wilson! Prohibition Songs, Gypsy Jazz and Good Time Music! 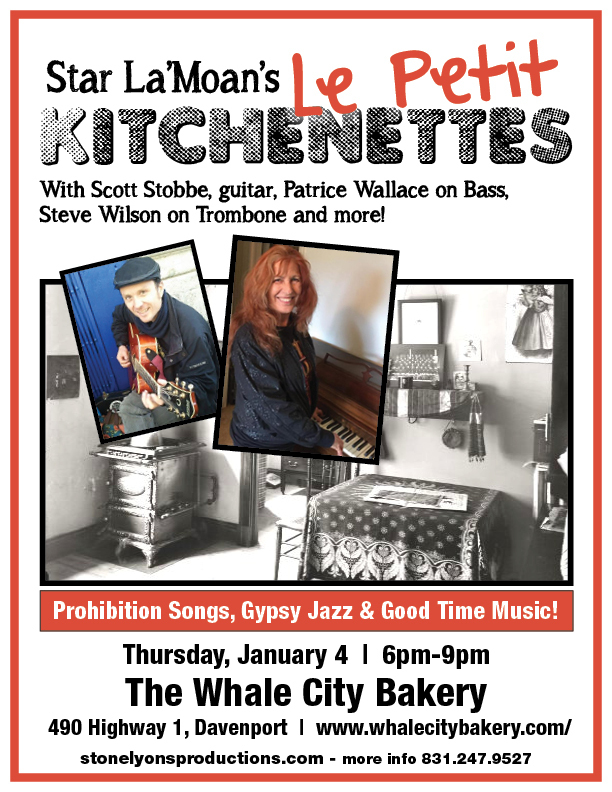 Thursday, January 4th, 6pm – 9pm The Whale City Bakery, 490 Highway 1, Davenport!